To find e-book with Summon, the library user-friendly search engine, go to the Advanced Search. 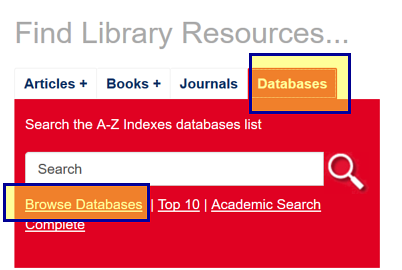 The link is available on the library home page in the red search box. Enter your search term(s). From the "Show content type" drop-down menu select "Book/eBook." Under "Show only" check the box for "Items with full text online." On the results page click on the link for the book full text (there may be more than one). 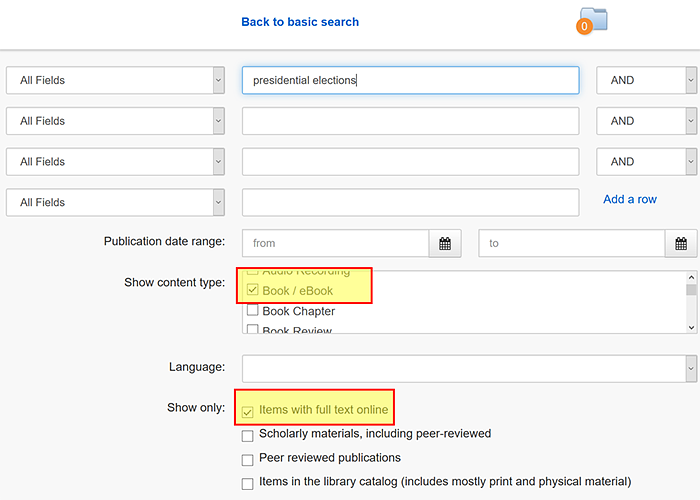 One way of finding e-books is by searching the Library catalog. 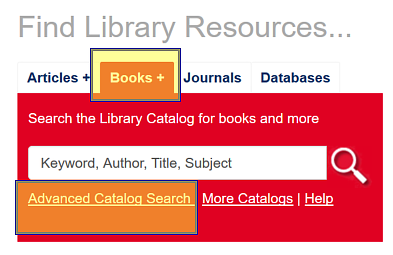 On the UC Libraries library home page (http://libraries.uc.edu/) click the Books tab in the red search box. Click "Advanced Search." From the "Material type" drop-down menu select "book." 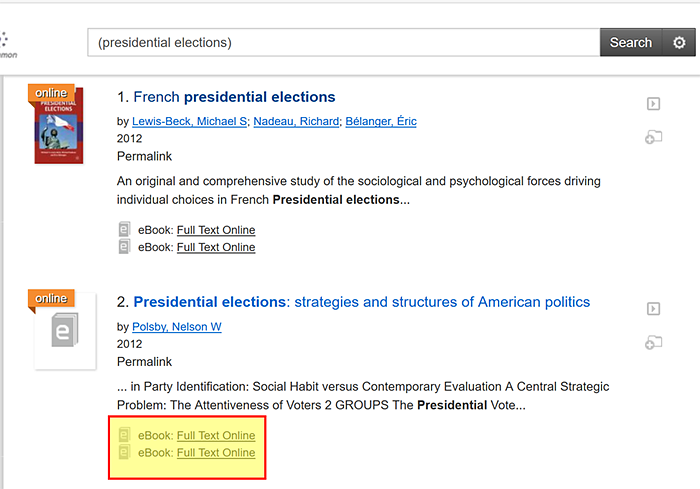 From the "Limit all future searches to:" drop-down menu select "Online Books, Databases, and Journals." Click "Submit" or hit "Enter." In the results list click on the title. You may have more than option for accessing the e-book, including off-campus access. 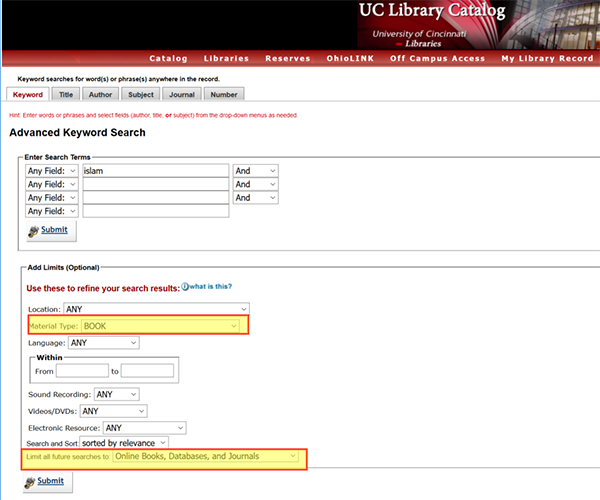 On the UC Libraries library home page (http://libraries.uc.edu/) click the Databases tab in the red search box. Click "Browse Databases." 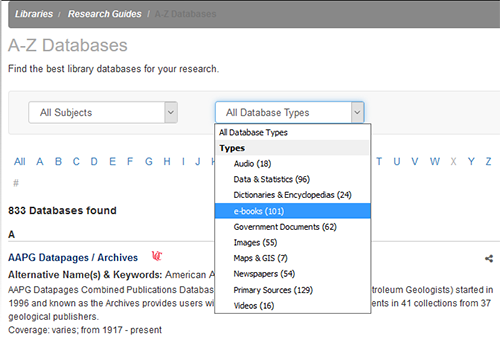 To see databases that include e-books click "All Database Types" ands select "e-books" from the drop-down menu. You can filter further either by selecting a subject from the drop-down menu under "All Subjects" or by typing keywords in "Search for Databases" box.